'Bug Movie' doc takes a loving look at an 'ugly' car we can't stop driving. You know a documentary is firing on all cylinders when it shares a detail you never expected. 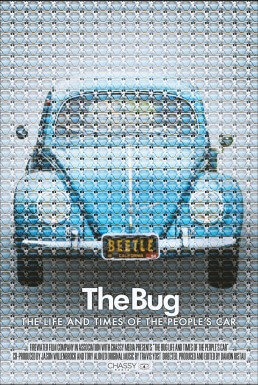 “The Bug: The Life and Times of the People’s Car” does that by describing what a Volkswagen Beetle smells like it. Think horsehair cushions, the kind that soak up scents and won’t let go. “For me, the Volkswagen smell was my childhood,” one Beetle owner confesses. It’s a simple statement, but it suggests why people bond with a car devoid of every modern convenience. None of that matters. We’ve been in love with the Beetle for generations. This Chassy Media documentary from Team Adam Carolla might make you fall for it, too. If you haven’t already. The film introduces us to “Bug” collectors who refuse to give up on the storied car line. We learn about its curious origins, dating back to the rise of Adolf Hitler. No, this wasn’t a Hitler mobile, per se. The dictator did demand a car the average German could afford. Those humble roots never left its vehicular DNA. The Beetle was affordable, good on gas mileage and small enough to fit in virtually any garage. It wasn’t visually snazzy. That was part of its charm. Those fat, loping curves made it stand out. Later, it clung to its squat frame while newer models redefined automotive grace. The bug refused to bend to current whims, and we drove it all the same. Beatniks loved it. 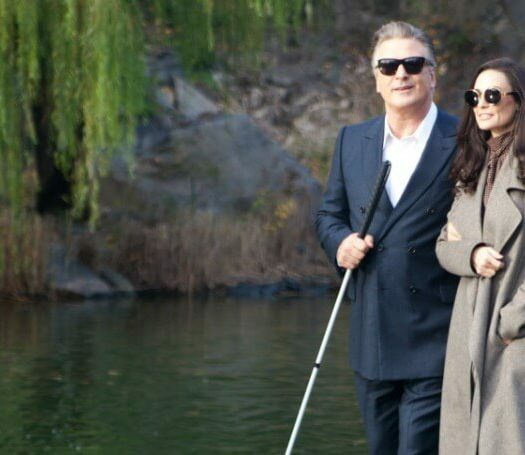 Movie stars, too. Volkswagen’s ingenious marketing played up its curious appeal. Ads called it a “lemon,” but lovingly so. One ’50s era Beetle ad declared “ugly is only skin deep.” That bizarre brand of honesty connected with consumers. “The Bug” may sound like an 80-minute Volkswagen spot, but it pulls no punches over the company’s recent emissions crisis. It’s a mash note all the same, connected by the tale of a late car lover’s unfinished wish – to bring a ’90s era Beetle back to life. Actor Ewan McGregor waxes philosophical about his days driving a “Bug.” It was his first car, and he still loves the German automobile. This might have come off as a pose, a big star acting “normal” by embracing an old-school set of wheels. McGregor sounds as passionate as the other Beetles collectors assembled here. He loves those “mechanical” smells, too, and smiles like a child during that confession. Chassy Media’s otherwise excellent “The 24 Hour War” couldn’t connect to the bigger cultural trends in play. “The Bug Movie” does just the opposite. It’s a time capsule of western civilization, seen from the lens of a populist car. And don’t be put off by the “people’s car” motif. This is an All-American story about an import car we couldn’t stop driving. FAST FACT: Ewan McGregor recently put his beloved 1960 VW Beetle up for sale on eBay to make way for a new toy. Recent years offer a bittersweet coda to the documentary. We see rusty Beetles lying in fields, waiting to be crushed into scrap metal. Volkswagen’s “new” Beetle line is a hit, but it’s just not the same. And Beetle collectors, chasing a once humble hobby, now have to pay bigger bucks to find older models. They’ll do it all the same. Some folks can’t help loving an ugly lemon. HiT or Miss: “The Bug” might just make you reconsider that slick, WiFi-accessible car in your driveway.